The Angelina Ballerina Dance Academy program is designed around children's natural developmental stages which allows them to safely grow and learn. 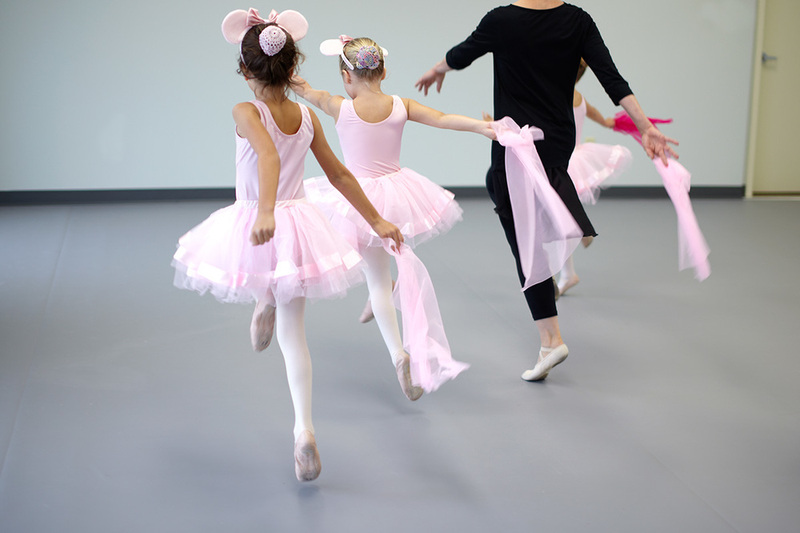 These dance classes lead to lots of fun and giggles as students relate to the famed Angelina Ballerina character and her stories that come to life each week. The Ballet Studio at LSPA is proud to be the only certified Angelina Ballerina Dance Academy in South Louisiana. These Angelina Ballerina dance classes in Lafayette are an introduction to class environment, body movement, pretend play, and spatial awareness through creative movement and pre-ballet exercises. Following the Angelina Ballerina Dance Academy curriculum, a new Angelina Ballerina storybook sets the scene for unique themes each month. Those themes are further explored in dance lessons set to custom Angelina Ballerina music. Wednesday, 5:45 p.m. – 6:30 p.m.
Thursday, 5:15 p.m. - 6:00 p.m.
Click here to watch a video about the Angelina Ballerina Dance Academy.